Passport Horrors: Avoiding Chaos – Passport Rush Options – Traveling Epic! One of the most horrible things that can happen to a traveler is loosing your passport. The horrors!!! Last week we were packing for a simple trip to Canada. 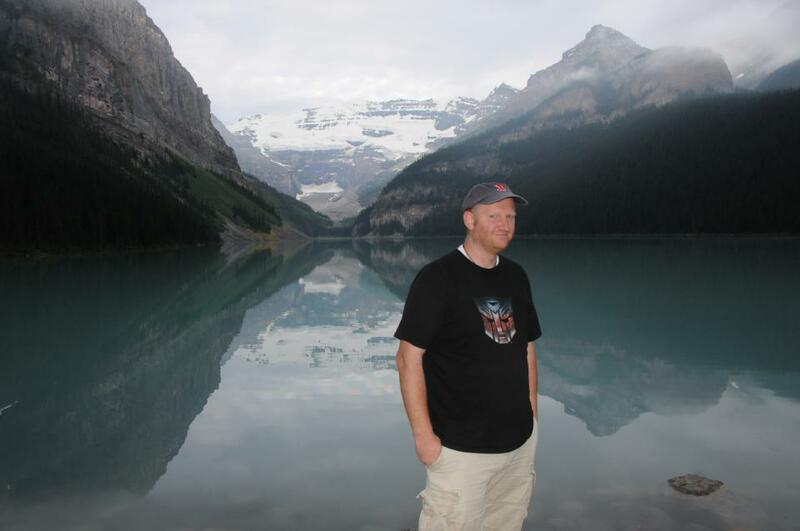 We were headed to Lake Louise, Banff and Calgary in Alberta, Canada. I had bought a safe for our important papers and the passports are always put there immediately when we return from a trip. Horror strikes and my wife’s passport is missing! We tear our room apart and the closets. We can’t find it anywhere. We call the US passport after hours number and choose the missing passport option. From here you can report a missing passport which immediately invalidates the passport for travel. My wife was ready to do this, but I wanted to make sure we had checked everything first. It was hard accepting our fate. See the hot list of Regional Passport Agencies and Centers on Travel.State.Gov. Warning! If you simply search for a regional office it may be a service and not the real thing. Make sure you’ve got the *REAL* passport office. There are lots of fakes. We ended up with two fake addresses when we were simply searching online for Los Angeles Passport Office. We went to this building below in Los Angeles. All of these buildings below are federal buildings and may have high security, and scanning. We stood outside in the sun for nearly an hour, no awning. Even will call for passport pickup was outside. 1. Rush Service in Person at a Passport Office – The regional passport options are the fastest routes hands down. You MUST have an appointment. This is the best thing you can do. The fees today are $60 for the rush in addition to replacement or new passport costs. Best case scenario is sign up for the first available appointment and then have everything ready. You should be able to pick up your passport the next day if your itinerary justifies it. In the case of my wife, we setup the appointment at 9:30am and on the site it said we should show up no more than 15 minutes early and 15 minutes late. Lining up at the passport office in Los Angeles yesterday it was about an hour to get through the door and then about an hour inside. I don’t think this was that unusual. At the Seattle agency I’ve got through the process in more like 30-45 minutes. There aren’t a lot of agencies. California is lucky with 2 different options in Southern California, but if you’re in a state with an average population or less, you may have to travel or look at the other options. Remember for minors you need consent from both parents, if they can’t both make it, make sure you have a signed notarized permission slip from missing parent. 2. RushMyPassport.com – Will overnight both ways and says they can deliver your passport within 24 hours. This begins after they receive your paperwork. You will pay big for this service. Expect to pay around 300, and ultimately shell out $500-$600 by the time your done with US passport fees, US passport rush fees, and the service fees, and expedited overnight shipping both ways. 3. In Person Services – Many travel companies are willing to take care of the passport rush for you. They will quality you have what you need. 4. Embassy – When traveling abroad the most common purpose of an embassy is to help you get back on your feet. Getting a passport or papers for traveling is definitely possible and within reason. 5. Local passport agency – Minimum amount of time is 2 weeks, but it could be sooner, no guarantees.
. I’ll have to dedicate a post to money because there is no one strategy to rule all locations. Be sure to write down the reservation number and be sure to keep your receipt when you go to pick up your passport. Birth Certificates can be expedited as well, but some of the services can take care of both if you need to get both birth certificate and passport or renewal or replacement. Well, to wrap up the story about my wife… She ended up spending 2 days in Montana near the border. It was sad to leave her there while I spoke to a technical group and went on a hike with a friend who was flying in to Calgary. It definitely did impact our trip. We have a cruise coming up, and despite the fact that it looks like we could skate by without passports, it’s not something I like doing. I want to never be restricted or be hijacked by the border police anywhere. My wife now has her passport. We called 1-877-487-2778. Reserved an appointment when we’d be in Los Angeles, and spent the time waiting in line. Our kids waited in the cafe, and then returned the next day to pick up the passport in a window of 1-3pm at the will call booth. The appointment was required. She now has her passport and we’re holding onto it like it’s gold. It is a very nice thought! Just wanna say thank you for the selective information you have distributed.